Collaborations… They’re old news now, right? But once in awhile, a collabo still manages to wow us. I first became aware of the fashion shows in São Paulo about a year ago. 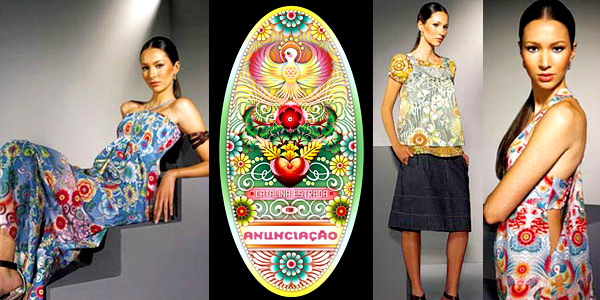 Like you’d expect everything else to be in Brazil, the designs are brighter, livelier, and more fun than what you might see anywhere else. 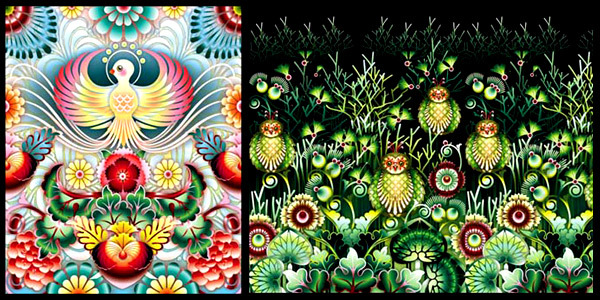 Catalina Estrada, whose colorful illustrations I remember seeing way back in issue No. 7 of Swindle, has teamed up with Brazilian label Anunciação and the results have got me dreaming of a nice tropical vacation. Shown above are some of the clothes from the Summer 08 line (because our Winter in the Northern Hemisphere is their Summer..?). See more from Summer 08 and Winter 07 after the jump! Winter 07. I love the super subtle all white top in the middle. hey, I’m from Brazil and I read your blog everyday! why don’t you come here in december/january? It’s our (very hot and nice) summer!